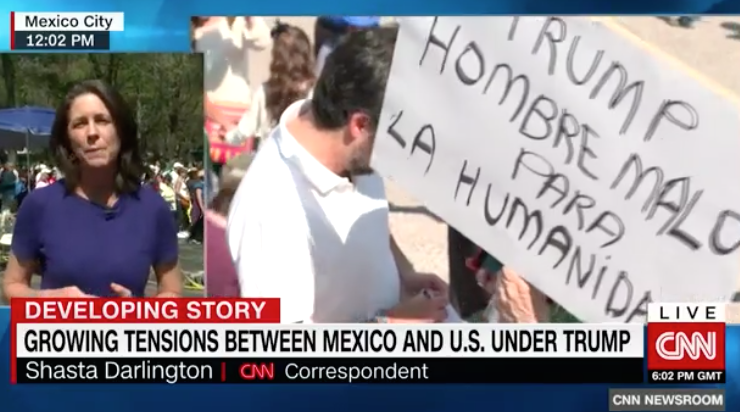 CNN covered an anti-Trump protest in Mexico City, where Mexicans rallied to rail against U.S. President Donald Trump and against their own president, Enrique Pena Nieto. One of the protesters who was interviewed said that Trump “is on the wrong side of history,” a common refrain among the Left’s supporters, and that Trump is a mean man. 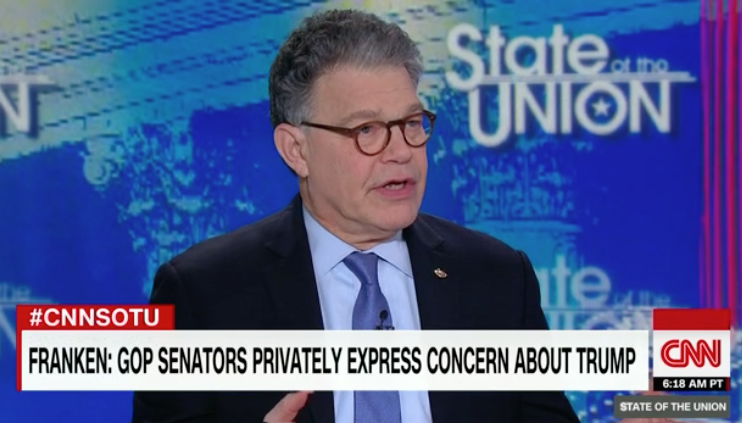 The reporter from CNN noted how there is fear among Mexicans of how they’ll be treated under the Trump administration, without noting illegal immigration is in fact, still illegal under U.S. law.